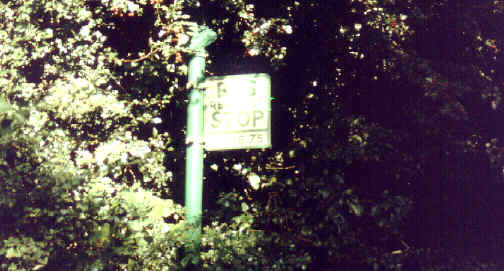 Route 6 descending Zig Zag road into Ventnor in June 2000 with the English Channel as the backdrop. 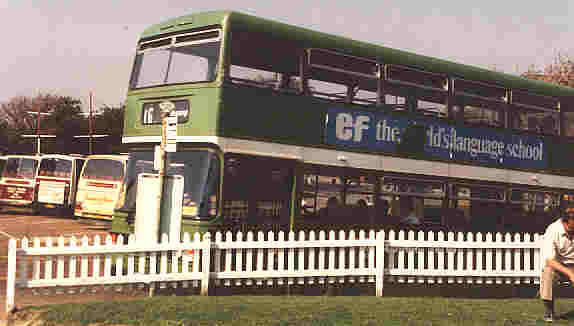 This bus waits at Blackgang outside the Ship Ashore pub. 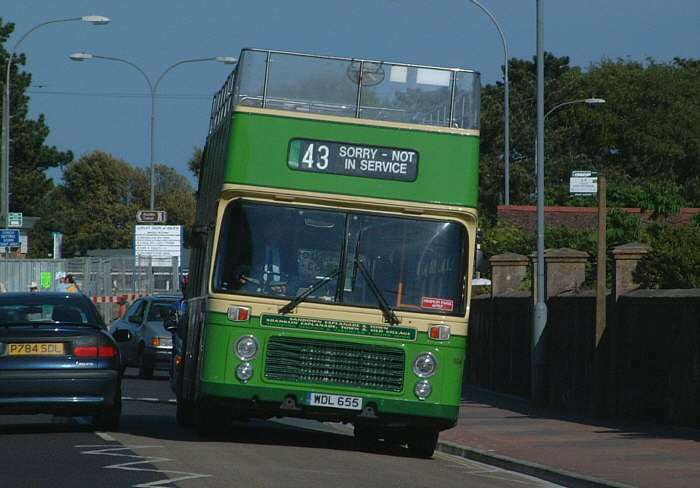 Route 43 lost in Ryde and suffering with the road camber. 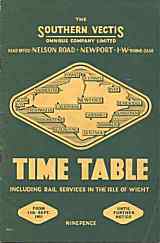 This bus normally provides a popular open top service between Sandown & Shanklin. 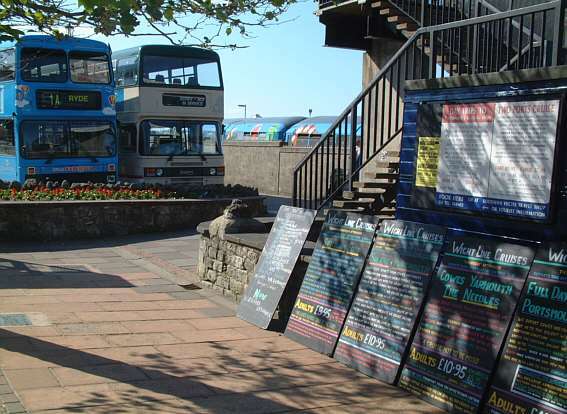 A transport scene at Ryde Esplanade with buses at the terminus, an Island Line train in the background and lots of cruises on offer on the boards. 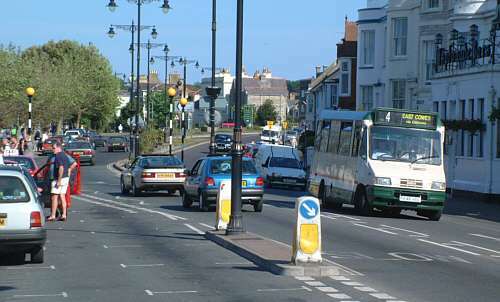 A busy street scene in Ryde with a route 4 bus heading for East Cowes. Bus in Ventnor approaching Pier St. 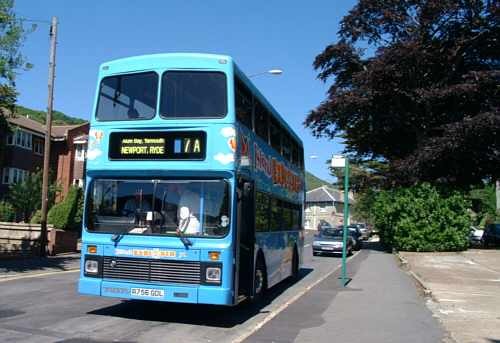 This bus with Island Explorer livery was seen by Ventnor Park en route for Blackgang and Alum Bay. 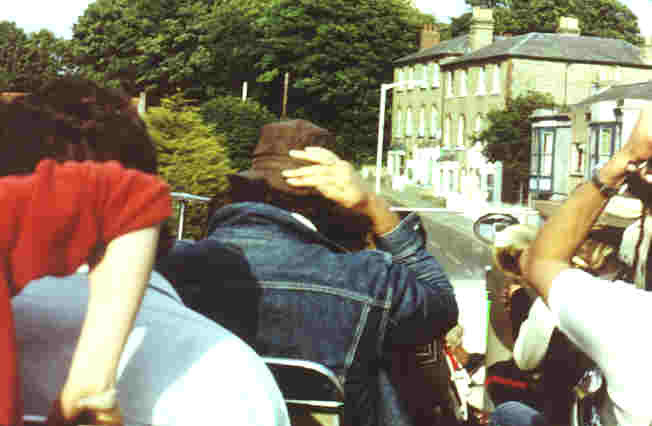 Outside the Arreton craft village in 1991. 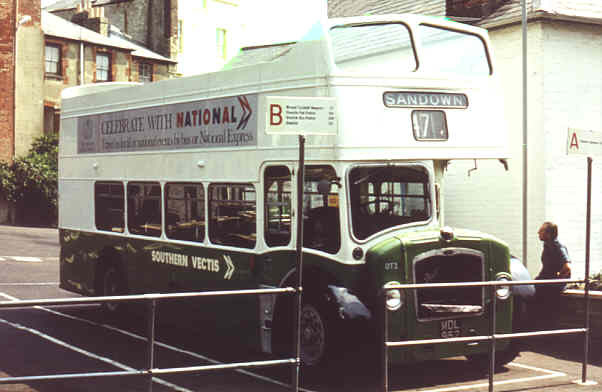 An open top bus at Ventnor, Albert Road. Roll on Summer! Who wants to drive a stuffy car. 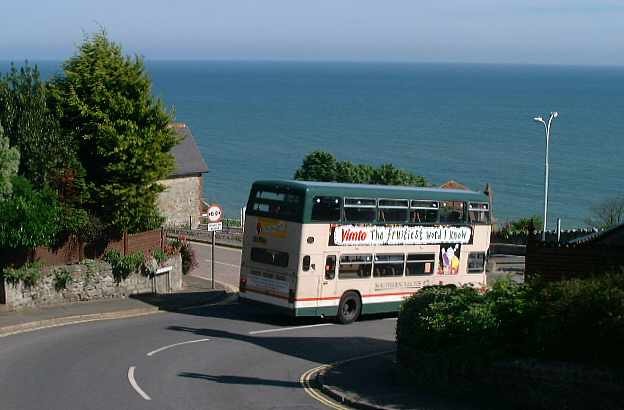 This bus is heading for Shanklin via Bonchurch. This crowd were part of a band and started playing. A trip to remember. More island buses were to be seen at Amberley Museum's ever popular Bus Day on 19th September 1999. 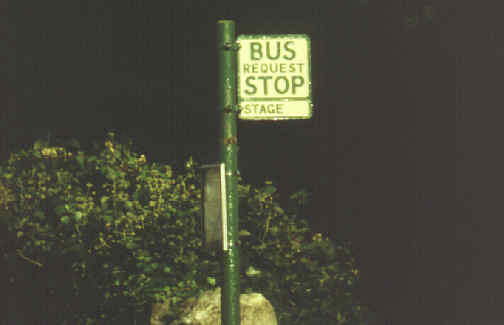 Distinctive Southern Vectis bus stops in 1991. Most have been replaced by more bland ones.